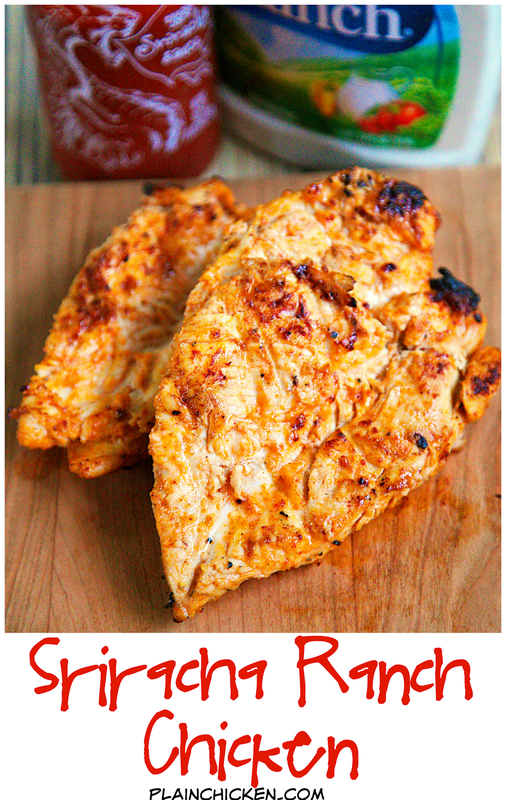 Sriracha Ranch Grilled Chicken Recipe - only 3 ingredients, including the chicken! Not super spicy even though there is a good amount of Sriracha - can increase or decrease depending on your personal preference. Great tasting chicken recipe! This recipe only has 3 ingredients, including the chicken. I love simple recipes like this! 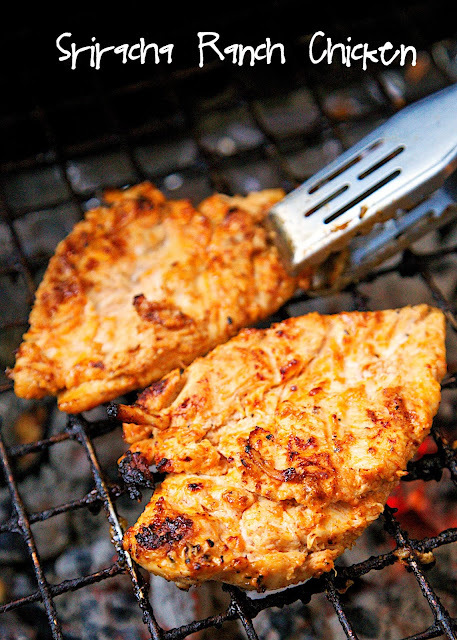 Despite only have 2 ingredients in the marinade, it packs a ton of great flavor! I was worried that this might be super because of the Sriracha, but it wasn't. We actually thought it could of had more Sriracha. The great thing about this recipe, is that the Sriracha can be adjusted up or down depending on your preference. We made 4 chicken breasts so we could have leftovers. The leftovers are great on top of a salad, in a quesadilla or on top of a flatbread (our favorite way to use up leftover chicken). 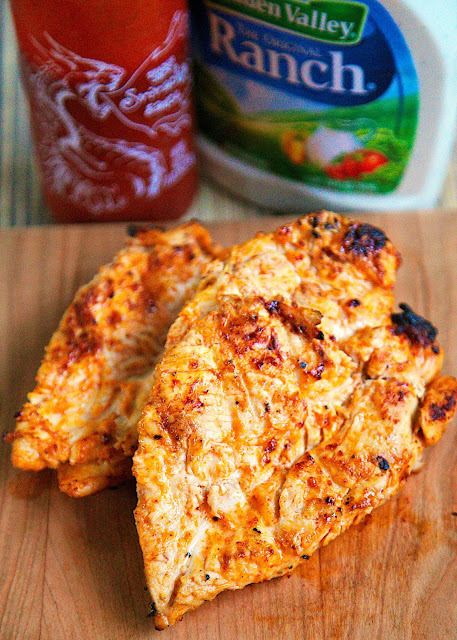 Sriracha Ranch Chicken Recipe - only 3 ingredients, including the chicken! Not super spicy even though there is a good amount of Sriracha - can increase or decrease depending on your personal preference. Great tasting chicken recipe! Whisk together Ranch dressing and Sriracha. Pour over chicken and marinate in the refrigerator a few hours, up to overnight. Remove chicken from marinade and grill until done, approximately 15-18 minutes. Sounds simple and very tasty - I like the color of it. I am for sure going to make this!